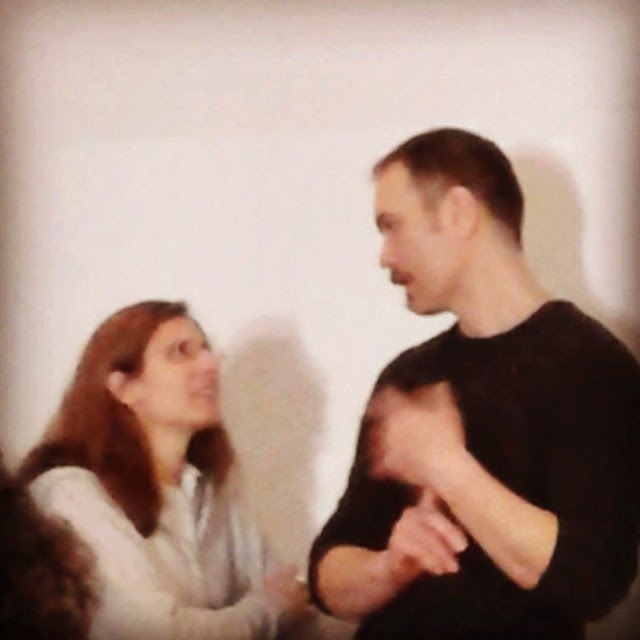 On March 14, 2014 Politecnico di Milano hosted the AgileForInnovation event, organized by CEFRIEL and the Software Engineering group at DEIB (more specifically, by Elisabetta di Nitto, in the picture with Roman Pichler). 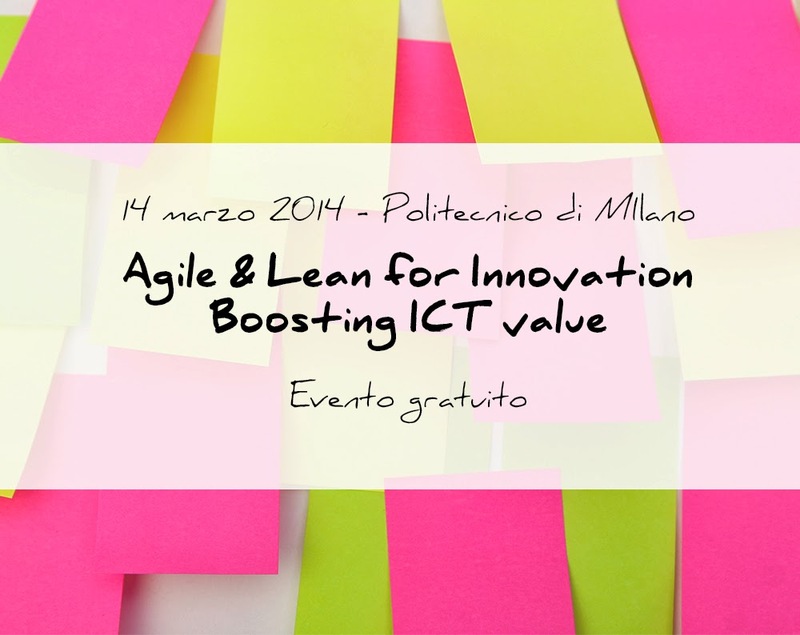 The event started with a keynote by Roman Pichler on Agile Product Strategy, which was very motivational. Market: Who are the users? Who are the customers? Value Proposition: Why would they buy it? What value would they find it useful? Business Drivers: why is it worthwhile to invest in it? What are the business goals? 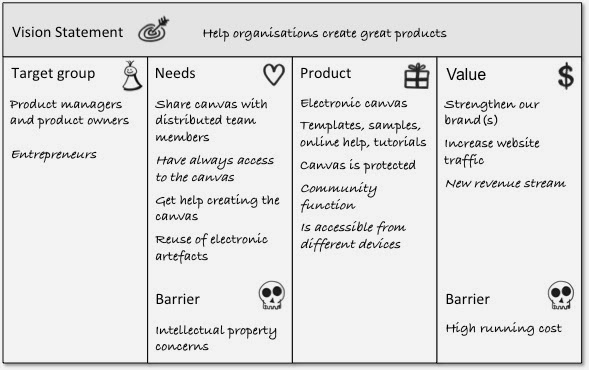 Example of Vision Board for agile product innovation. You start applying validation on the idea. One of the main concepts then is to be able to understand immediately that your validation is giving back some signals of risk of failure. You must be able to fail and learn fast. You must be able to PIVOT, i.e. : if the product strategy is invalid, you need to stop or change, and pivot your strategy early. This is not easy: accepting failure is not easy task! But if you want to innovate in a lean and agile way, failure is part of the game. You must prepare a safe environment for failure. One typical agile approach is SCRUM, which promotes quick “create-validate-analyse&update” cycles on the product deliveries. late pivots and late failures (which is obviously much more painful and costly). 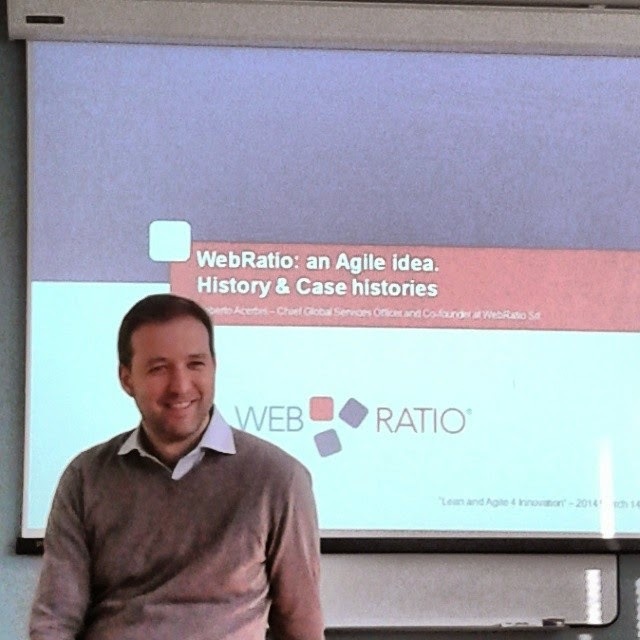 and customer cases of WebRatio. Within the same event, I gave a presentation on “Agile Sw Modeling for Increasing Productivity: Impossible Reality?”, where I presented our experience with IFML, WebRatio and agile practices. A presentation by Roberto Acerbis (see picture) covered the part of industrial experience and starting up of WebRatio. Previous postCode Generation conference is back!